When I journeyed an hour down the road to Pensacola, Florida for the 2015 Pensacon, I was mostly interested in the vendors. Even if I knew I couldn’t afford all of the cool retro junk I was sure would be up for grabs, it was still going to be great to see it with my own eyes. One of the vendors had a nice collection of old school trading cards from the 1970s – 1990s. I don’t remember what I paid for any of them, but they were a fairly decent price. 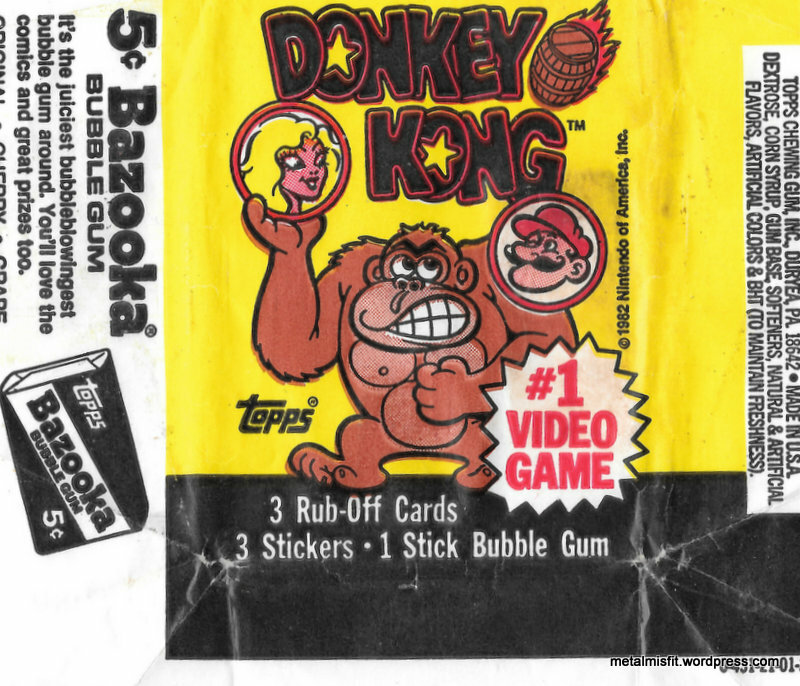 The most enjoyable of the few packs I bought were Topps’ Donkey Kong cards from 1982. I absolutely love the artwork for this whole series. In the early 1980s, Donkey Kong was a cultural phenomenon right up there with Pac-Man. Yeah, Mario was there, but was before he became a star on his own. At this time in Nintendo’s history, Donkey Kong was THE star. And why not? The arcade game is simple to understand, yet challenging. It’s one of the best arcade games of its era (I’m more into the beat ’em ups that would come in the late ’80s and early ’90s). It’s a game I’ve never mastered, but it’s a fun time. The same can be said of its sequels Donkey Kong Junior and Donkey Kong 3.